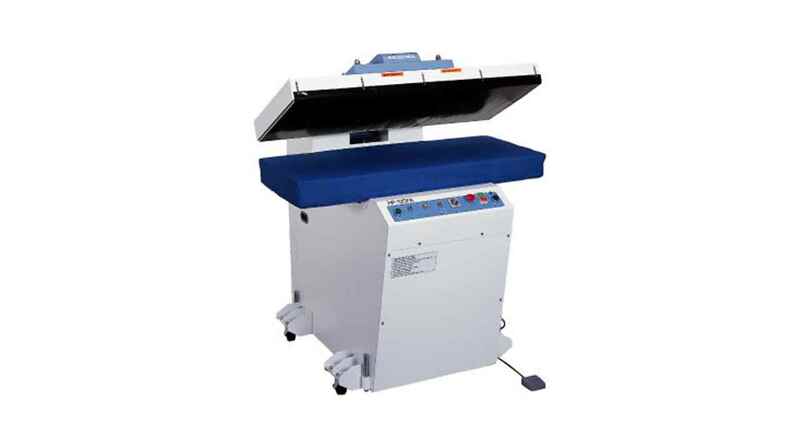 "The wide plate allows pressing for large size materials "
The temperature on the heating plate is uniform as the temperature is controlled by 3 sections. 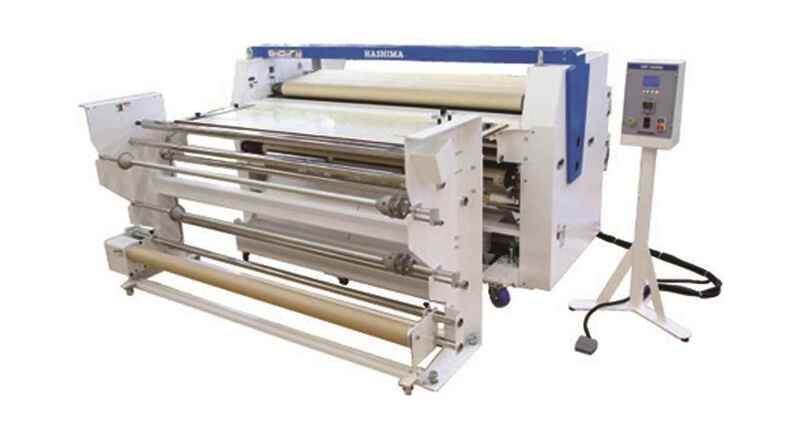 The wide plate (2,200x 1,000) allows pressing for large size materials. 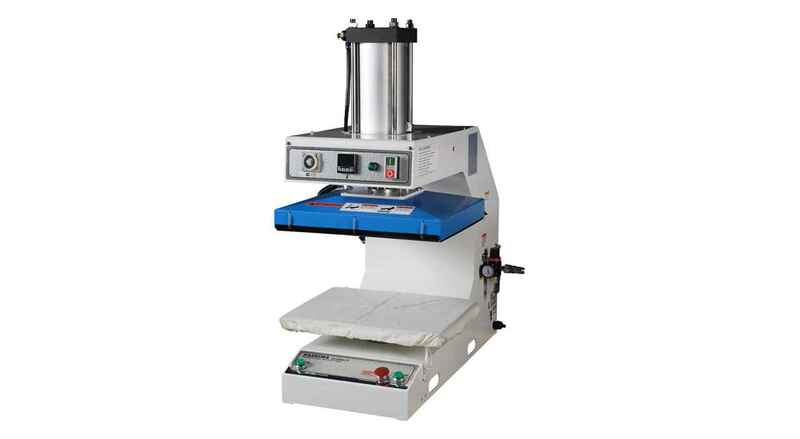 The lower plate air pressing system with a special mat assures uniform pressure. As the tray system which protrudes the work table to the operator's side is adopted, working efficiency has been improved.